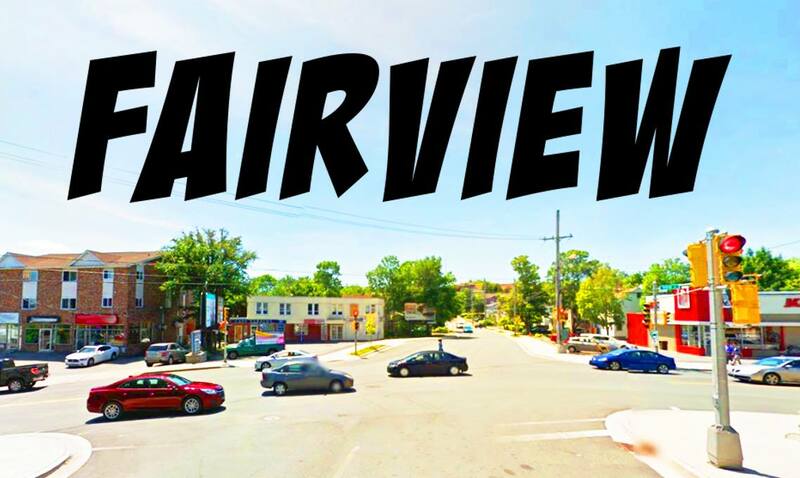 Since we included Rockingham within Clayton Park I figured it would make enough sense to include Armdale within the Fairview Pizza Quest. 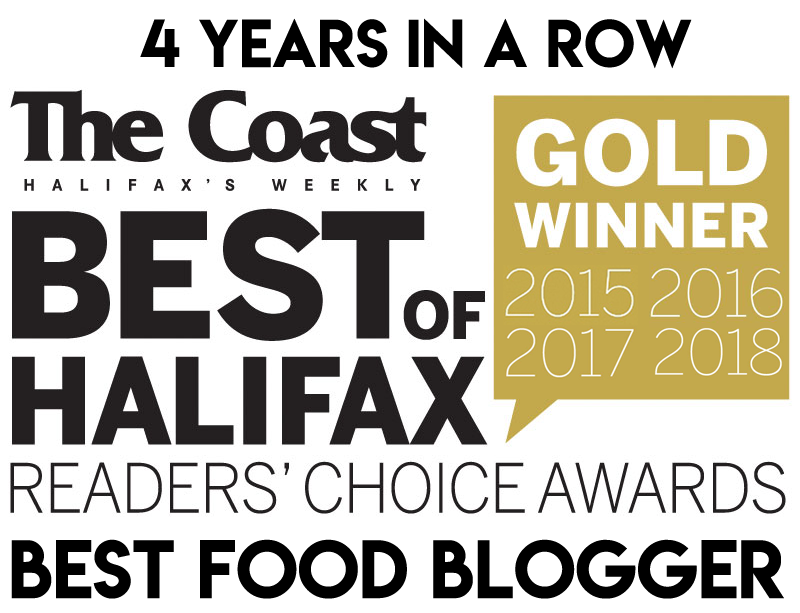 (Yes, we did these before on the West End Halifax Pizza Quest but we are revisiting them here). We excluded Alexandra’s due to poor previous performances. I feel a little bad about snubbing Pizzatown again, but we’ll get around to it eventually. We ordered medium pizzas with green pepper, mushroom, pepperoni and bacon. These pizzas were judged by 6 attendees on their Sauce, Crust, Cheese, Toppings and Overall. Everyone was asked to pick their top 3 and a #1. Objectively speaking, Velos had the best toppings of the bunch. Brothers Pepperoni is the standard and real bacon is used in favour of sketchy bacon balls. But even though Velos has the makings of greatness, it only tied for 2nd place in the Toppings category. Why? Questers felt that there weren’t enough vegetables to balance out the spicy/smokiness of the pep & bacon. There also wasn’t enough sauce, which furthered this effect. The meaty flavours were simply overpowering. I summed this up as a flavour preference and tried to vote objectively, but at the end of the day it just wasn’t doing it for me. This was the top scoring crust of the day, and Denton’s #1 pick overall. Half of the group (3/6) chose it among their top 3. When I opened up this pizza box I exclaimed: “Awe! It looks like a cartoon pizza!” Others agreed: “It really does look like an artistic ideal of a pizza”, wrote Denton, “like the representation of a plastic toy”. The toppings, which included red peppers, were cut up in tiny pieces and carefully placed. 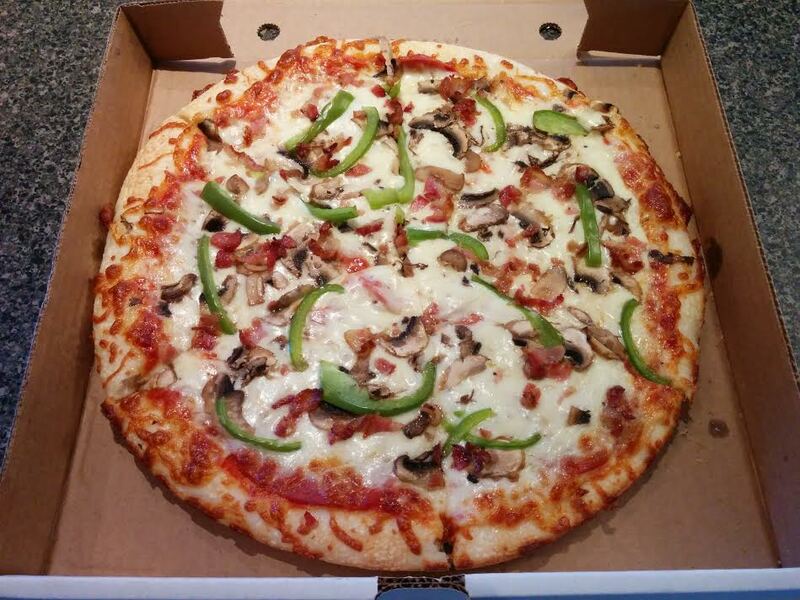 The pizza was colourful and tidy – but how did it taste? The crust was chewy/crispy/soft, depending on who you ask. There was a good amount of cheese, and Ken’s actually scored #1 in this category. The best quality of this pizza was actually the sauce, which was spicy sweet. But this pizza performed pretty well all around. Everyone liked it and it was Curtis’ top pick. 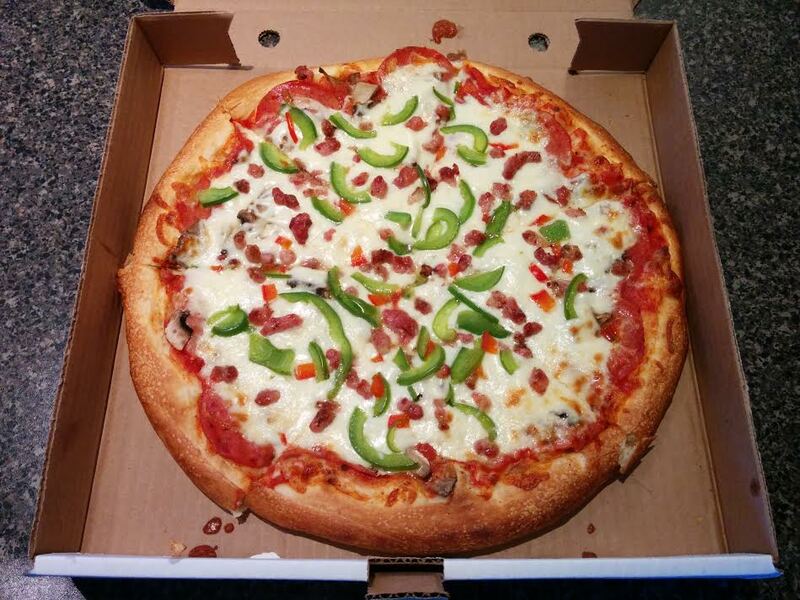 Sicilian was the victor of the Quinpool Pizza Quest of 2014 so I was interested to see how it would do on this quest. It was definitely the most pricey pizza of the night. Was it worth it? I liked how this pizza was slammed with toppings. Lots of fresh green pepper, real bacon(! 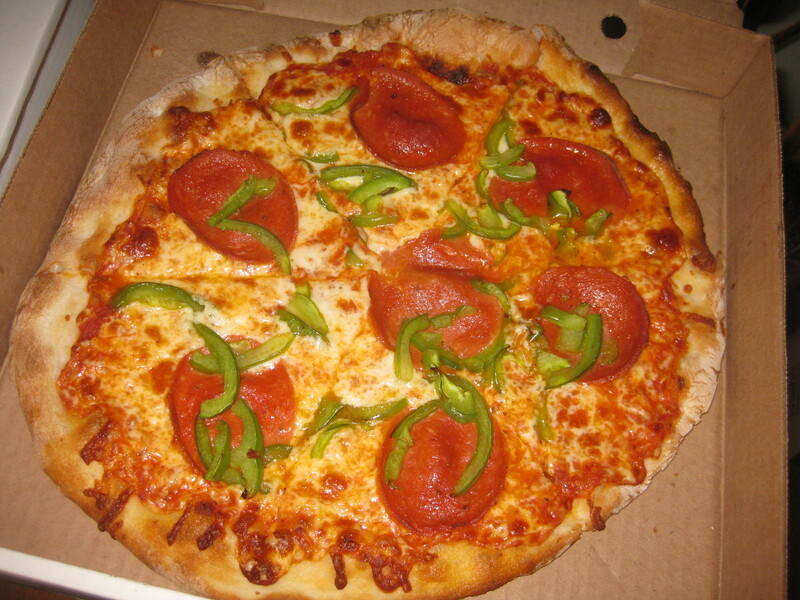 ), and top-side pepperoni. Despite the generous application of fresh toppings, Sicilian still only tied for 2nd place in that category (which I can’t explain. Sorry – democracy at work here). The group agreed that the sauce was plentiful but boring. I thought the tangy sauce complimented the bounty of toppings but I was alone here. The crust was soft/chewy/boring. The general consensus was that this pizza was nothing special and doesn’t warrant the excessive price tag. 4/6 people picked this pizza among their top 3 but it was not a favourite. Oh Freeman’s – how I love you and how you can disappoint! Our pizza arrived with overcooked toppings. LA observed that when she dropped a piece of bacon onto her plate it sounded like gravel. Yet somehow the bottom crust of this pizza was sopping wet. What a hot mess! Some people enjoyed the top-side pepperoni and “fried” pan-crust ends but we figure we got an “off” pizza. Too bad. 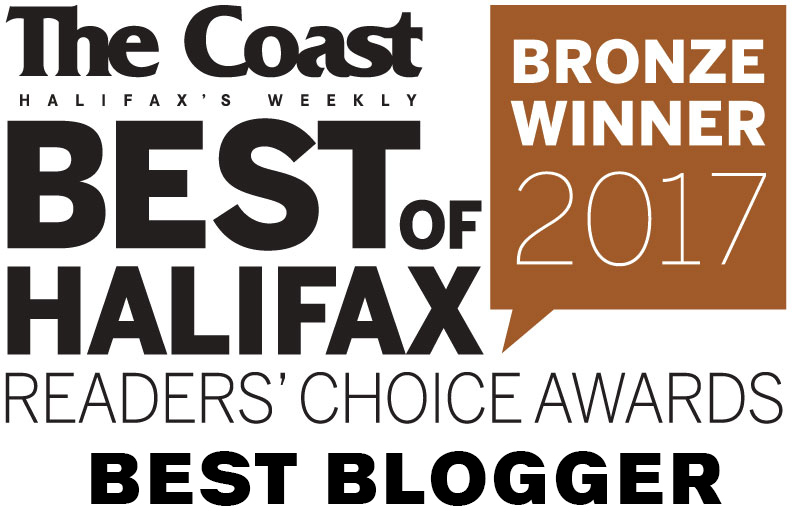 Euro Pizza was present on the West End Halifax Pizza Quest, and it didn’t even place among the top 3. The problem with Euro is the crust. It’s bad. It’s really bad. It’s like a dry, stale, pre-made crust. The redeeming quality of Euro is the sauce. It’s good. It’s really freakin’ good! It elicits ooo’s and ahh’s with it’s garlicky essence. It makes you forget that the crust underneath it tastes like corrugated cardboard. Fortunately for Euro, on this occasion, there were a couple people who really liked the crust and it managed to secure 2nd place. Euro also scored 1st place for toppings. 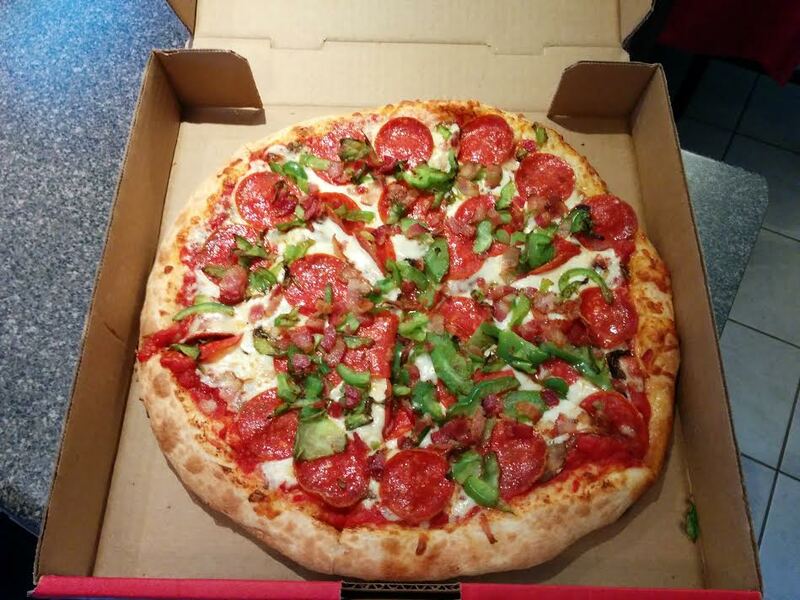 It had the best bacon and decent veggies, though the pepperoni may have been somewhat subdued. 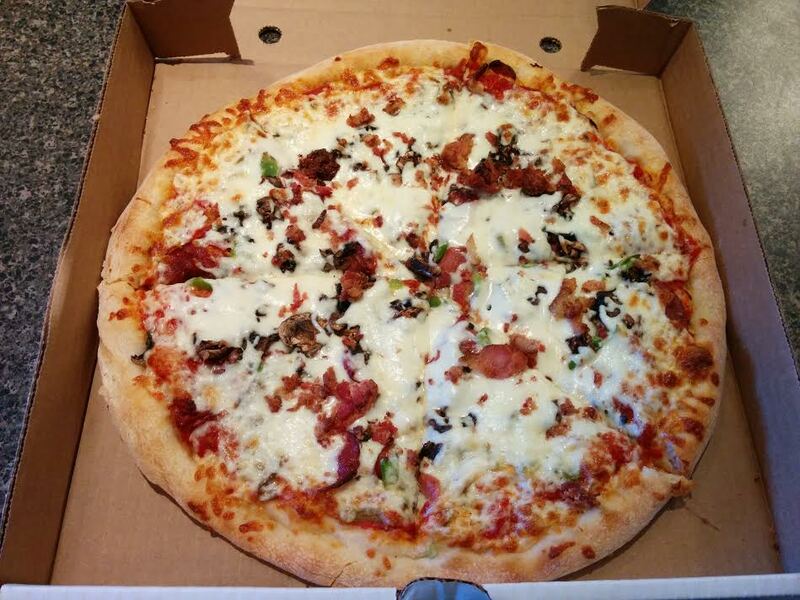 Armdale Pizza was also featured on the West End Halifax Pizza Quest, though it can hardly be considered the same pizza. Ownership must have changed because this pizza looks nothing like the one we had in 2014 (see for yourself). The change is for the worse, I’m afraid. Denton noted the pale crust which he said smelled faintly under-cooked. Someone else called it a “weird, Play-Doh butter crust”. The cheese was dense and “rubbery”. The veg and sauce were okay. This was ReTales #1 pick for some reason (he has a history of liking weird crusts and top-side mushrooms), but Denton and I couldn’t even finish our slices. In fact, nobody but ReTales even considered this pizza for their top 3. I think this is one of the better pizza quests that we’ve done, in terms of quality options. Euro was the only pizza that made me moan. If it wasn’t for the crappy crust, this would be one of my favourite pizzas in the city. Then again, some people don’t mind or even like the crust so to each their own. Out of the strictly Fairview pizzerias, Ken’s was the crowd-pleaser. It scored well in every category and made everyone’s top 3 list. Velo’s had a lot of potential but fell short in overall flavour. Sicilian makes a decent pizza but it’s way too expensive for what you get. Freeman’s may have had an off day, but them’s the breaks. Armdale was a huge disappointment because I actually quite liked the old recipe. 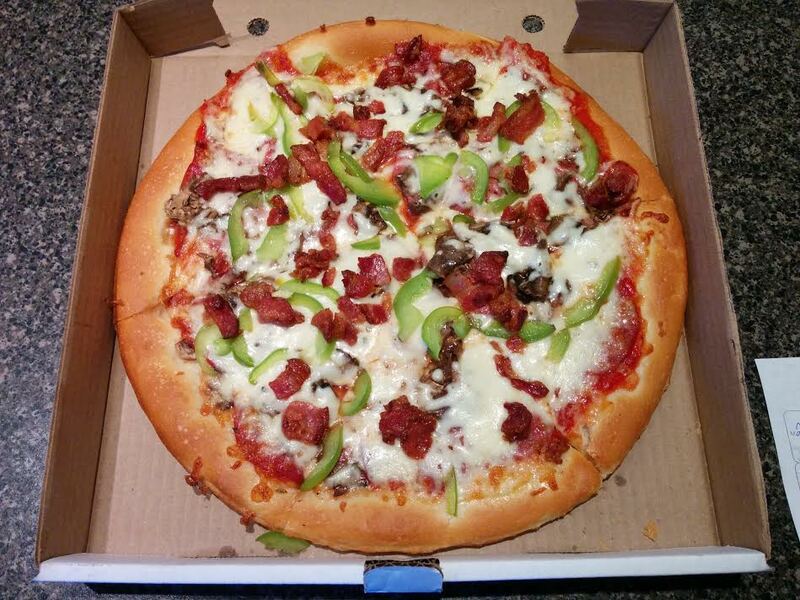 You should do a St Margarets Bay Rd Pizza Quest. 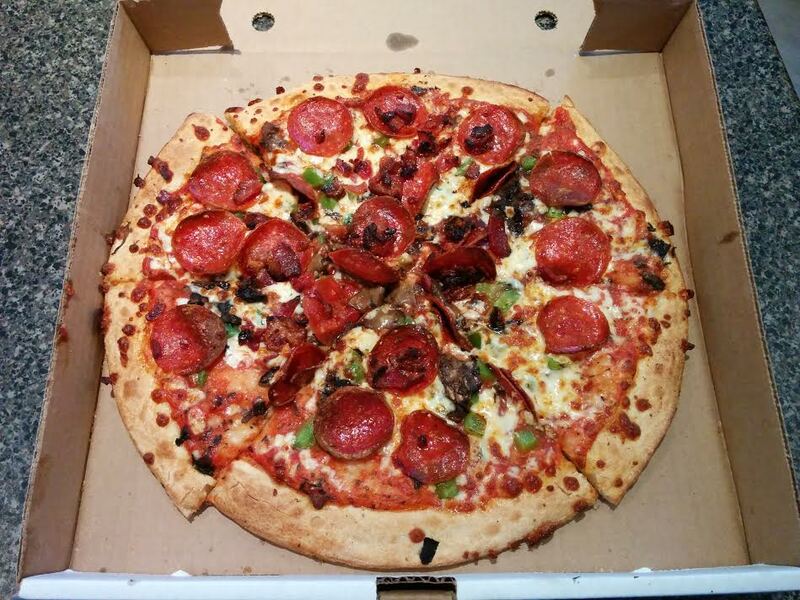 It would include the pizza places on/by St Margarets Bay Rd (Beecville/Lakeside/Timberlea/Hubley), which could include Hubley Pizza, Pizza Pro, Lakeside Family Restaurant & Pizza, Neno Pizza, and Pizzatown.